Royal was a commission of a beloved family cat. 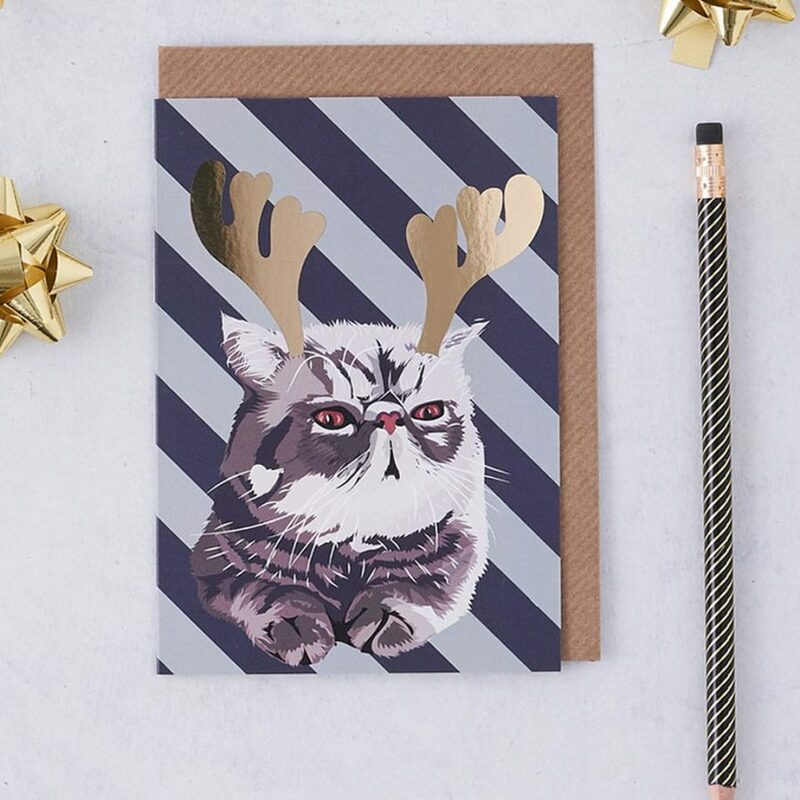 He’s the king of his castle and looked so fantastic we had to put him in our collection! 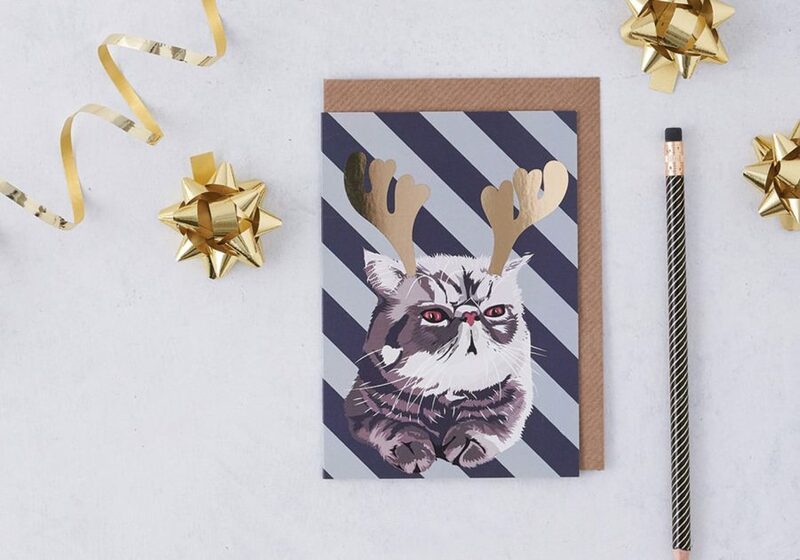 He has been given a christmassy twist with the addition of some antlers in gold foil detailing.